If you ask Americans what their favorite holiday is, we bet most of them will say “Thanksgiving” – some might even say they prefer it over Christmas! And it’s no surprise given the uniqueness of this tradition: friends and family gather for the main purpose of sharing a bountiful meal and being grateful for what they have. This annual holiday falls on the fourth Thursday of November and everyone can join in the festivities. Here’s how. 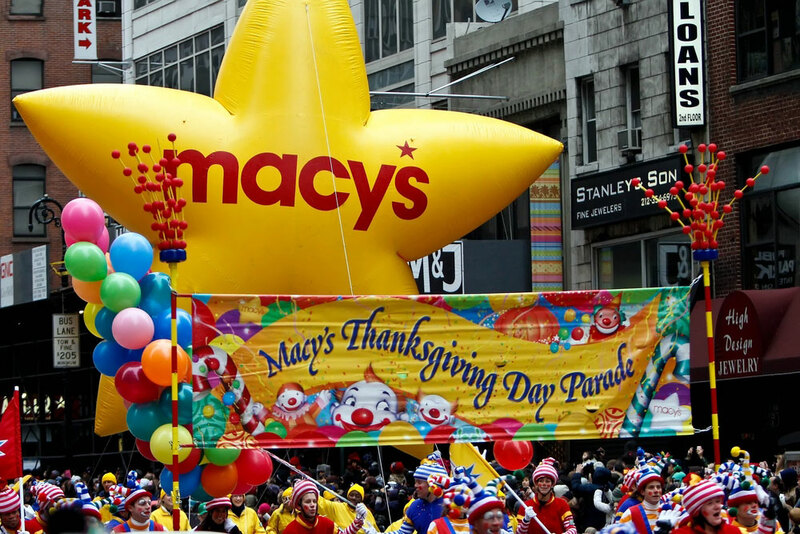 Macy’s is not only one of the best-known department stores out there, it’s also the host of the yearly Macy’s Day Parade that started in 1924 and now signals the official beginning of the holiday season in the United States. If you are in New York City over Thanksgiving, get your coats and comfy shoes ready for a morning of massive floats, dances, costumes, celebrities and performances. The parade’s route is 2.5 miles long and starts at 77th St and Central Park West (Upper West Side), continues along Central Park South, 6th Avenue and ends at Macy’s Herald Square on 34th St. The best viewing spots are between 75th to 59th St (be there early) and 59th St to 38th St (along 6th Avenue). This is good news to Manhattan at Times Square guests – the parade will be just one block from the hotel! The parade officially begins at 9:00 am on Thanksgiving Day. Due to its popularity and the fact that it’s free, people start setting up camp between 6:00 and 7:00 am. It usually ends around noon. Be an early bird and get a great spot – book our Free Grab 'n Go Breakfast Package and have a bite while you wait for the parade. Once the parade is over and the crowds begin to scatter, go back to your room at the Manhattan and freshen up before heading out to try a Thanksgiving meal – no Thanksgiving celebration is complete without the mandatory loosening of your belt. Midtown, with restaurants around every corner, is a great place to look for an affordable prix-fixe Thanksgiving menu – be sure to make your reservations in advance! The classic menu includes roast turkey with stuffing, gravy, fluffy mashed potatoes, cranberry sauce, vegetables like green beans, carrots, squash and sweet potatoes as side dishes, and pumpkin or apple pies for dessert. With the holiday spirit already in the air, you need a hotel that will cater to your every need so that all you have to do is explore and enjoy New York. Book your stay at the Manhattan at Times Square and see what sets us apart.